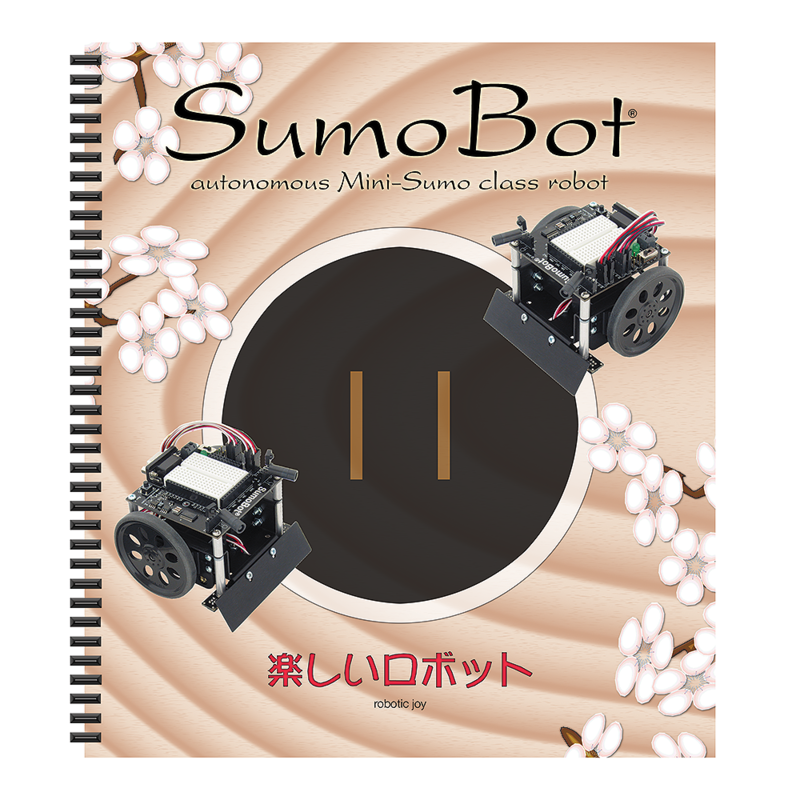 SumoBot Manual BASIC Stamp Example Code. 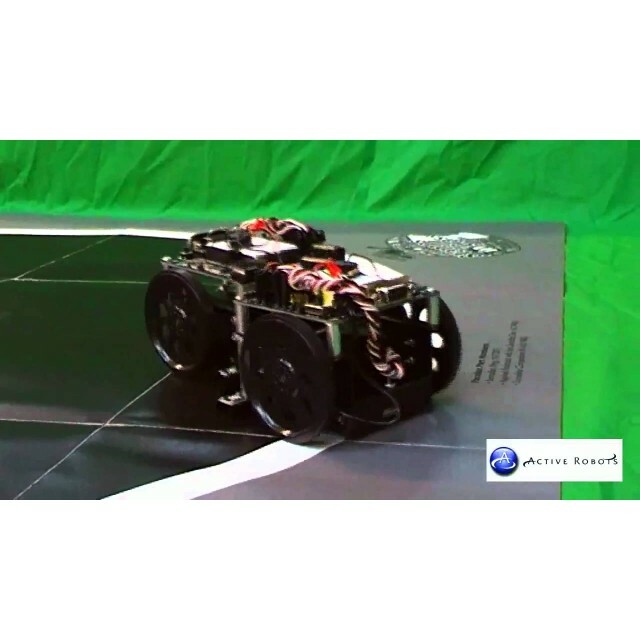 Applied Robotics with the SumoBot Text. Applied Robotics with the SumoBot BASIC Stamp Code. 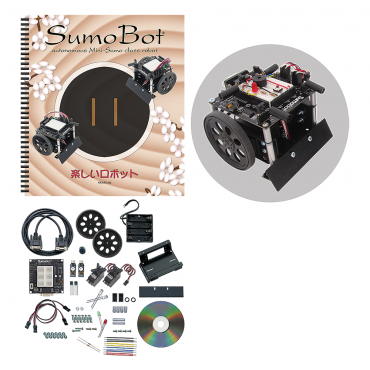 Build and program two high-quality SumoBot® Robots designed to wrestle in their own mini-sumo competition ring! 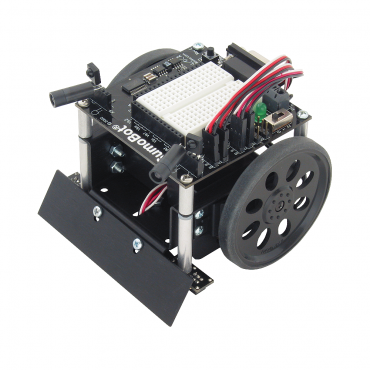 Follow the SumoBot Manual assembly instructions and test programs to go from basic moves to one-on-one combat. Once you have your SumoBot robots up and running, give them a competitive edge and expand your skills by following the step-by-step activities in Applied Robotics with the SumoBot - an advanced text in our Stamps in Class series. Activities include friction analysis, self-calibrating sensors, memory optimization with multipurpose variables and a sensor flags register, and state-machine diagrams for sensor-based navigation. EEPROM data logging lets you record your robot's sensor and program states during a match, then display them afterward in the BASIC Stamp Editor's Debug Terminal - an excellent way to troubleshoot and analyze the performance of your program strategies. Two sets of durable robot hardware sporting black anodized aluminum chassis and scoop, servo motors, and all the required components. Surface-mount BASIC Stamp control boards to host the included infrared object sensor electronics for spotting the opponent. Additional components including piezospeakers and pushbuttons to build custom circuits. 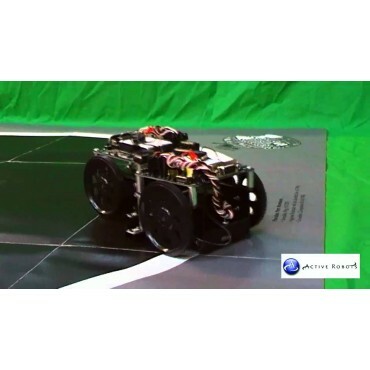 Under-chassis QTI Sensors detect black and white surfaces, such as the edge of the sumo wrestling ring. 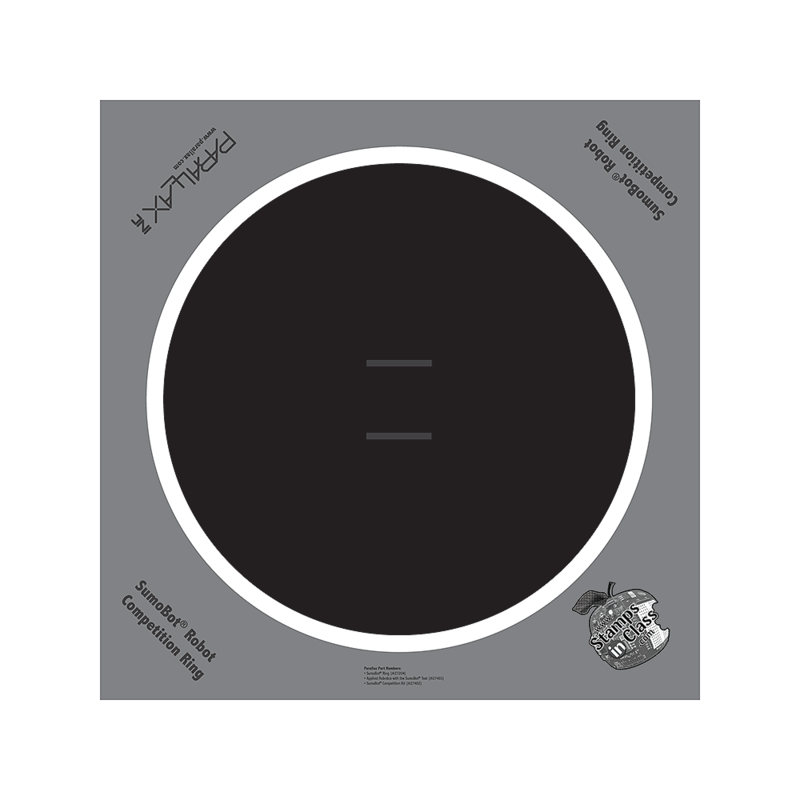 Two printed tutorials - one for assembly, testing, and basic wrestling, the other for advanced sensor management and programming strategies. (1) SumoBot Board with surface-mounted BS2. 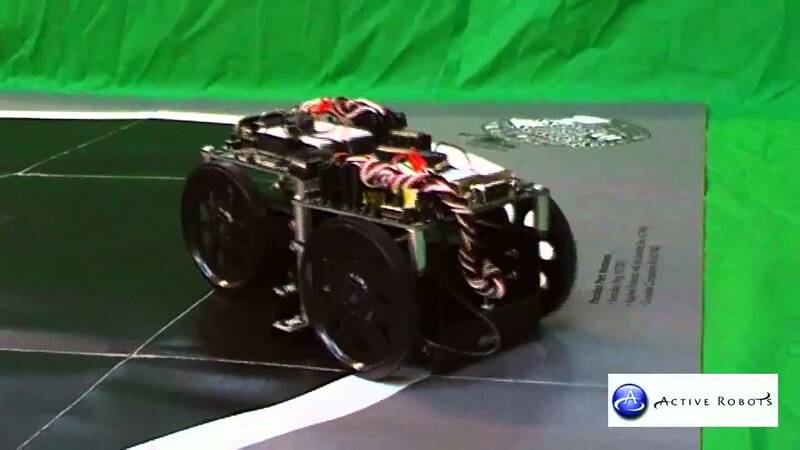 (2) Boe-Bot/SumoBot Wheel & Tire, Plastic, 2.58 Dia, .3 W.
(4) Boe-Bot/SumoBot Wheel & Tire, Rubber Band. (1) Battery holder, 4cell, AA, with tinned leads. (2) 470 ohm 1/4 W 5% Carbon Film Resistor. (1) Green T1 3/4 LED. (2) Infrared T1 3/4 LED. (1) Red T1 3/4 LED. (1) 3" Jumper Wires (1 bag of 10). (2) Servo Extension Cable (10 inches). (2) Parallax (Futaba) Continuous Rotation Servo. Assortment of screws, washers, and standoffs. NOTES: Requires 4 AA 1.5 V batteries, not included. BASIC Stamp programming requires the BASIC Stamp Editor software for Windows. This product needs batteries in order to work. We provide Lithium batteries as optional add-on. If you want further information about Alkaline and Lithium batteries you can take a look at our article on batteries here.